Is there arabc langue in the mobil ? AnonD-147122, 19 May 2013I put load on this phone but if I make no calls for a few days when I want to make a call all ... moreThat's maybe your device has bug. My device has no problem. Guys ll we get any message abt update or any notification??? How ll know tat our phone has received update??? I put load on this phone but if I make no calls for a few days when I want to make a call all load has gone why? Means I have to carry a small Nokia as well just to make calls. AnonD-146583, 17 May 2013just get my handset from samsung service centre and it's already have jelly bean - indonesia r... moreare you serious ? im from indonesia too . dimana anda update ? AnonD-146583, 17 May 2013just get my handset from samsung service centre and it's already have jelly bean - indonesia r... moreCool!!! but why did u sent it to samsung center? Will a I8160L work in Europe? Can't wait to recieve that long awaited update.. Rawrr..
5 days before that update.... If I still didn't get it I will throw my phone and buy APPLE IPHONE 5 HAHAHAHHA. can anybody tell about the battery duration? 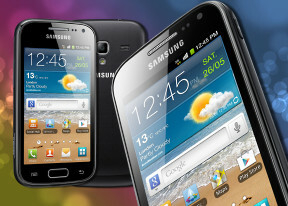 Samsung jelly bean will be release globally in may 22 2013, if samsung have a plan. Ace 2 user dont expect anything cause samsung is a liar. Just accept that we are fooled by samsung. Im ok with gb.. and nxt tym that i will buy a phone. I will not buy samsung. Cause they are lame and dont have a dignity in their promise. aahhh! cant wait for the jelly bean update in the philippines! !